Land transaction area: According to the overall trend, the land transaction area has been growing at a negative rate for most of the year since 2013, while the sales area has been rising, resulting in a continuous decline in inventory. In 2017, the turnover of various types of land in 300 cities nationwide began to rise, with a total turnover of 1.73 billion square meters, an increase of 11.8%, of which residential land sales of 830 million square meters, an increase of 21.7%. Transaction floor price and premium rate: The transaction floor price has increased year by year. In 2017, the average price of all types of land transactions in 300 cities nationwide was 2362 yuan/square meter, up 25.5% from 2016. The average price of residential land was 4031 yuan / square meter, up 21.6% year-on-year; commercial land was 2391 yuan / square meter, up 18.6% year-on-year. In 2017, the company’s sales performance was good, and the willingness to make up the storehouse was strong. In the context of insufficient supply and strong demand, the land market maintained high heat, and the residential floor transaction price continued to rise, especially in hot cities. The competition for good plots is very strong. In a word, according to the multiple aspects analysis, the real estate industry occupies an important situation in our national economy, it relates to people’s livelihood and the economic growth. The government will constantly pay attention to the real estate industry, on the one hand, it is to prevent the market overheating, and at the same time to prevent rapid decline, to maintain the overall stability of the market, sustainable and healthy development is undoubtedly the best option. The real estate market’s own cycle and government regulation have allowed housing companies to continuously carry out the survival of the fittest. In the past, the concept of TOP200 existed in the industry, and now TOP100 is a housing company with a certain scale. In 2017, the sales performance of real estate enterprises continued to increase substantially, and even 17 real estate enterprises reached 100 billion yuan. The top20 housing enterprises sales total has reached 4.3 trillion. 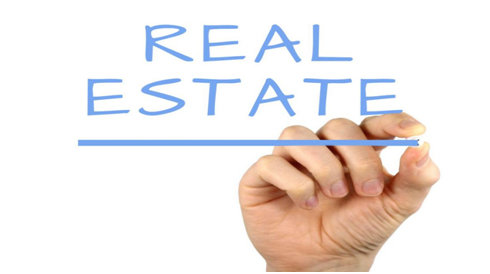 The concentration of the real estate industry has increased rapidly accordingly. The market share of TOP100 has reached 55.5%. From the threshold of the echelon of all levels, the sales threshold has improved significantly. The scale of the housing enterprises has also been divided for a long time, the stronger are always strong. The lifting speed of the front door sill is much faster than the lifting speed of the rear sill. The threshold of the TOP100 is almost unchanged for 3 years. In the future, there will be no doubt that the sales scale and performance of TOP100 housing enterprises will continue to grow, and the industry concentration of each echelon housing enterprises will further increase.